The story of Loreto Schools began in 1609 when Mary Ward (1585 - 1645) founded the Institute of the Blessed Virgin Mary. 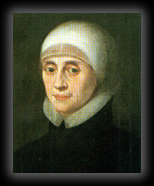 Mary Ward was a remarkable woman who pioneered the higher education of catholic women, and established schools all over Europe. The Irish branch of the Instititute was founded by Frances Ball, a native of Dublin. Her first foundation was at Rathfarnham and was called Loreto Abbey, from which title the members became known as Loreto Sisters and all subsequent foundations at home and abroad were called Loreto. Loreto Secondary School, Balbriggan, which followed Mary Ward's direction, was established in 1857. A modern school building was opened in 1983. A Board of Management was established in 1989. The demand for places in this all girls school led to a further extension, Mary Ward House, which was opened in 1998, followed by Gracefield House in 2006. The school has 36 classrooms, 3 Art Rooms, 3 Kitchens, a Sewing Room, a Music Room, 5 Science Laboratories and two Demonstration Rooms. Gracefield House was an initial emergency accomodation phase of a much larger construction project whose commencement we still await. The project, on completion, will add a further 30 classroom spaces, including specialist rooms and a modern state of the art sports hall. An astro-turf pitch is planned for the future also. Encourage each student to fulfil her academic and personal potential in an atmosphere of freedom, care and respect for the individual. Celebrate a joyous Christian faith which grows from reflection and leads to justice.